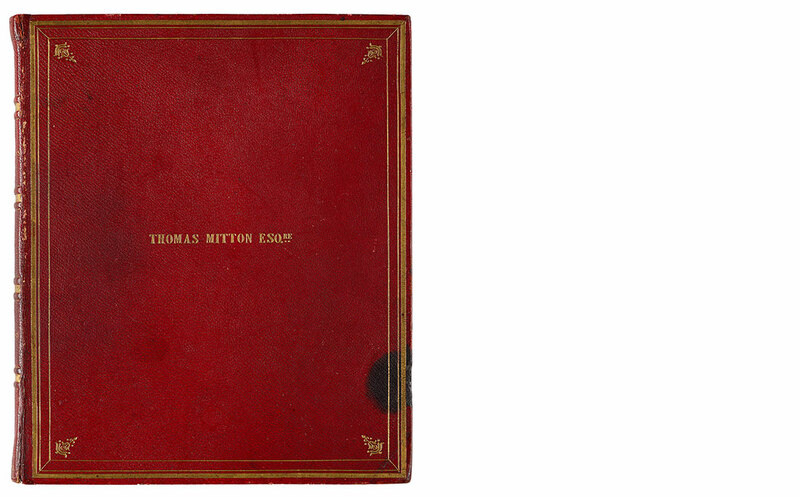 When the manuscript of A Christmas Carol was returned by the printer, Dickens sent it to a bookbinder (possibly Thomas Robert Eeles of Cursitor Street, London), who bound it in crimson morocco, a handsome, durable goatskin leather. 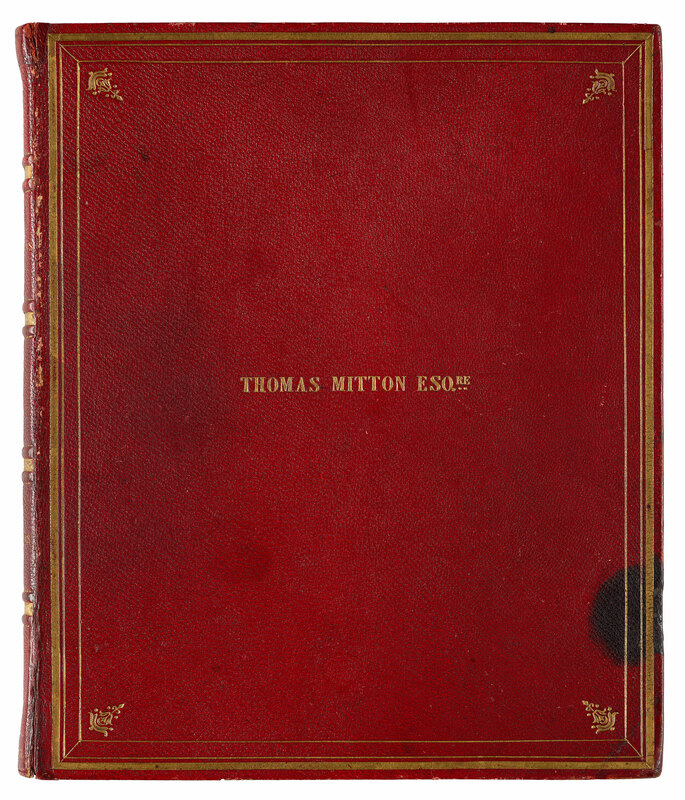 The binding is elegantly decorated in gilt, and the name "Thomas Mitton Esqre" is stamped in gilt on the front cover. Dickens presented the bound manuscript to Mitton, his close friend and creditor, possibly as a Christmas gift, and most probably in gratitude for the generous loan of £270 in the preceding six months. Compelled by personal financial difficulties, Dickens wrote A Christmas Carol in only six weeks, during a period of intense creativity in fall 1843. The original manuscript of A Christmas Carol reveals Dickens's method of composition, allowing us to see the author at work. The pace of writing and revision, apparently contiguous, is urgent, rapid, and boldly confident. Deleted text is struck out with a cursive and continuous looping movement of the pen and replaced with more active verbs—to achieve greater vividness or immediacy of effect— and fewer words for concision. This heavily revised sixty-six-page draft—the only manuscript of the story—was sent to the printer in order for the book to be published on 19 December, just in time for the Christmas market.